Displaced children from Marawi City who are temporarily enrolled in Tambo Elementary School in Iligan City participate in a psychosocial session conducted by trained volunteers. Group activities like praying, playing, dancing and making art help them recover from what they’ve experienced. Fourteen-year-old Nor Ain Mama wipes away her tears while sharing her story. “The terror group launched an attack in Marawi. We were afraid that they would cut the throats of children and women. 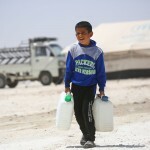 We hid in a basement for two days without food and water,” she said. Nor Ain and her sisters Norlaila, 13, and Normina, 15, then fled the city and traveled to Iligan to seek safety, together with 10 other children squeezed in a van. 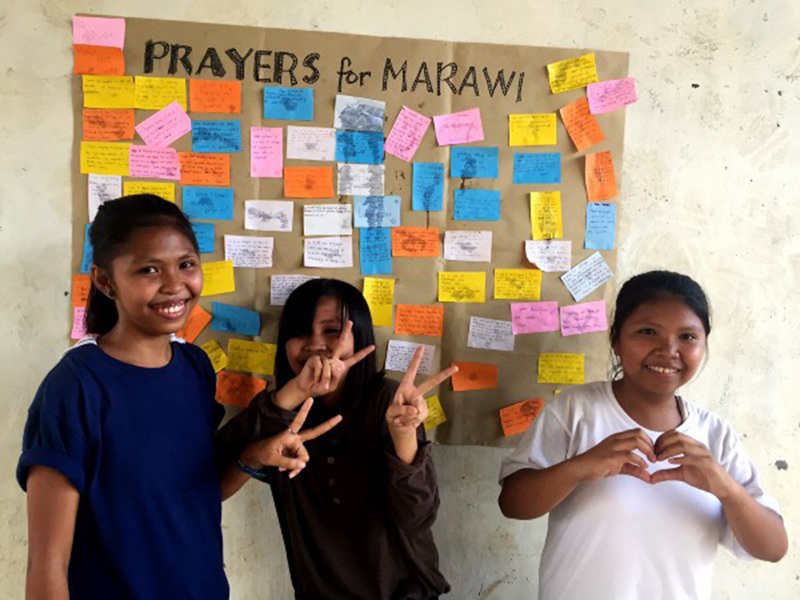 The sisters sought refuge at a relative’s house in Tambacan, Iligan, which they are sharing with four other displaced families. They struggle to deal not only with the physical challenges of displacement, but also the fear and anxiety, being away from their home in Raya Sadok, Marawi. Sisters Normina, Norlaila and Nor Ain Mama. Their aunt looks after them. Their mother works in Saudi Arabia and their father left them for another family. 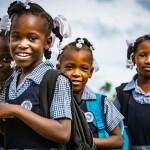 The sisters are temporarily enrolled in Iligan City High School, which is accommodating displaced school-aged children. UNICEF is working with the Department of Education, the Department of Social Welfare and Development, and local NGO partners to address the needs of children displaced by the conflict in Marawi. UNICEF has provided tents, learning supplies, and recreational materials for child-friendly spaces and temporary learning spaces in schools and evacuation centers. Trained volunteers provide psychological first aid (PFA) to help children deal with stress. 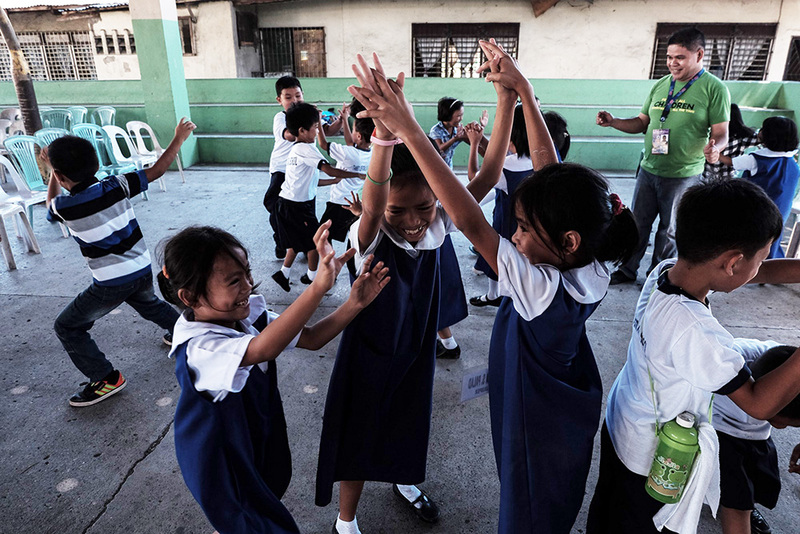 “Our aim is to build their resilience to adapt well to significant sources of stress,” said Dale Julia, one of the volunteers providing PFA to displaced learners in Iligan City Elementary School. PFA helps children deal with what they’ve experienced through structured, age-appropriate and culturally sensitive activities like role-playing, music, arts and breathing exercises. “We encourage the children to express themselves and positively cope with the distressful situation they have experienced and overcome them,” Dale said. Dale Julia conducts a psychosocial support activity for children displaced by the armed conflict in Marawi. “We encourage the children to express themselves and positively cope with the distressful situation they have experienced and overcome them,” he said. In one activity, facilitators asked children to draw their feelings and reactions. Most children drew warplanes and bombed houses. Many cried when they shared their stories with other children. “It’s quite difficult for them to describe their ordeal — being caught in the crossfire, hiding for days without food and water, fleeing the city to escape a terror group. We ensure that child-friendly spaces are protected, so they can talk about their experiences freely. We are here to listen,” counselor Girlie Monoy said. Nor Ain Mama, 14, attends class at Iligan City National High School. 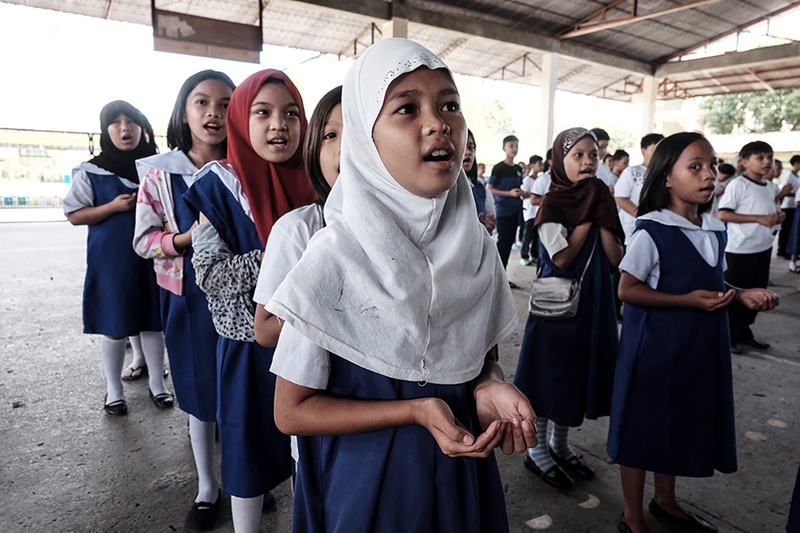 Schools in Iligan City, Lanao del Sur, Lanao del Norte have been opened to accommodate school-aged children like Nor Ain who were displaced by the armed conflict in Marawi. PFA activities have enabled Nor Ain to open herself up again to others and make herself feel better. “The things we can do, we just have to work harder to achieve our dreams. We just need this session to bring us back to reality. Before, we could not share our stories without crying. 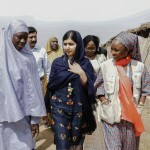 If I didn’t participate in PFA activities, I would probably be a different girl now,” she said. Nor Ain and other displaced children want to go back to Marawi. “Peace will ultimately reign in Marawi. We are stronger now,” she said.